Suitable for beginner to intermediate skill levels. The class will be a good introduction to sewing organizers that bring order to your sewing supplies. Learn to install zippers, sew with vinyl, and use interfacing to give structure to your projects. 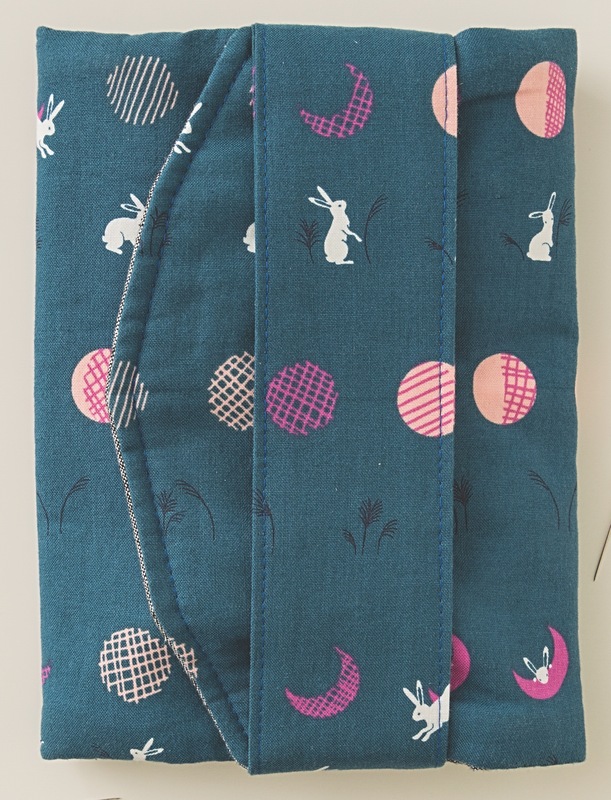 Students will take away a stylish fold-up organizer, which opens up to reveal multiple pockets, a pincushion, and a needle book—perfect for keeping all your sewing essentials in one place. Students will be learning a variety of sewing techniques that can be utilized for other projects. The project also makes a perfect gift for sewing friends. Project photos are on pp. 42 and 46–47. One class (6 hours): Students would make all the components and sew up the folio. Two classes (3 hours each): Students would make all the components in the first class. They would assemble and sew up the folio in the second class. This would allow students to catch up between classes at home. Each student will need table space for sewing/cutting and access to an outlet for their sewing machine. A pressing station will be required for every three students. Before the class, the teacher should read through the Stitched Organizer Basics chapter (pp. 9–24) for plenty of tips and techniques to include in the class. 1. Cut the fabric and other material pieces. 2. Fuse the required fabric pieces. 4. Prepare the binding pieces. 5. Assemble the pockets, pincushion, and needle book. 8. Sew the folio together. If splitting the class into two 3-hour classes: complete steps 1–6 in class 1 and steps 7–8 in class 2.